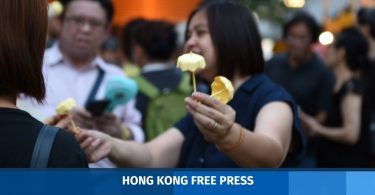 Hundreds of pro-democracy protesters returned to government headquarters in Admiralty on Thursday to commemorate the anniversary of the Umbrella Movement protests. Three years on, they urged unity against a backdrop of what one organiser described as an “authoritarian” political atmosphere. On September 28, 2014, the police shot 87 tear gas canisters to disperse protesters gathering in support of arrested students. Many regard it as the moment which sparked a 79-day protest calling for universal suffrage. Activists were ultimately cleared from the streets, though the government did not make any concessions. 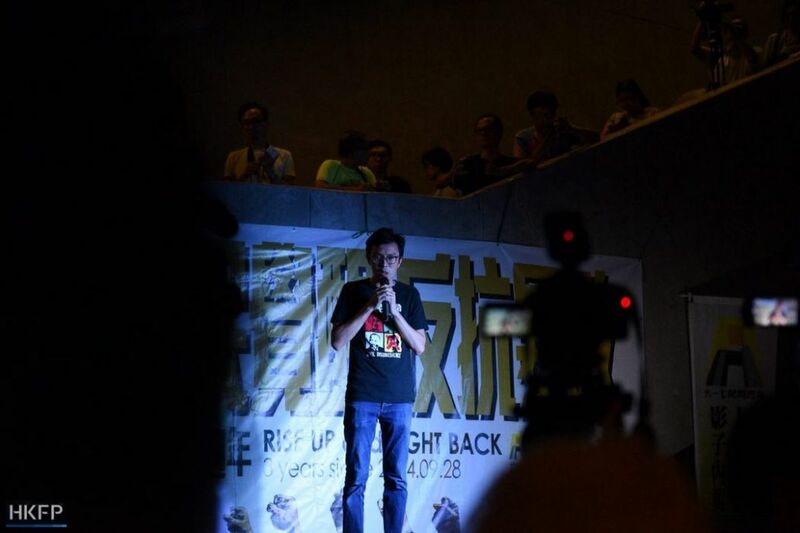 The movement’s leaders – Joshua Wong and Nathan Law – completed community service orders as a result of charges relating to the demonstrations, whilst Alex Chow was given a suspended sentence. However, the trio were jailed in August after the government successfully appealed their sentences. Activists during the Occupy tear gas “reenactment.” Photo: League of Social Democrats. 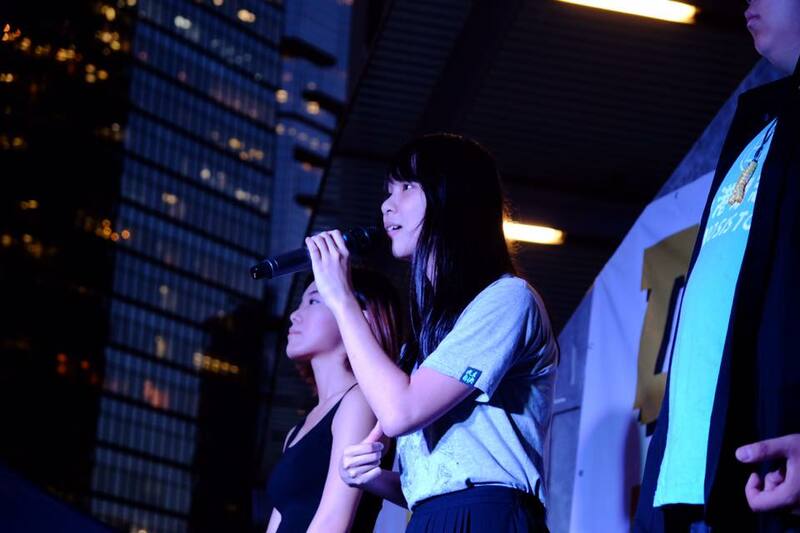 Agnes Chow, a core member of Wong and Law’s party Demosisto, said she was grateful that demonstrators had returned to Admiralty after three years, even though many had been disappointed by the political events during the period. The organiser of the event “reenacted” the scene three years ago by playing audio recordings from the protests in 2014 and mimicking the dispersal of tear gas by with water vapour. Avery Ng, chair of the League of Social Democrats, said he almost shed tears when the protests started, since he was in London and could not join. Avery Ng. Photo: Catherine Lai/HKFP. 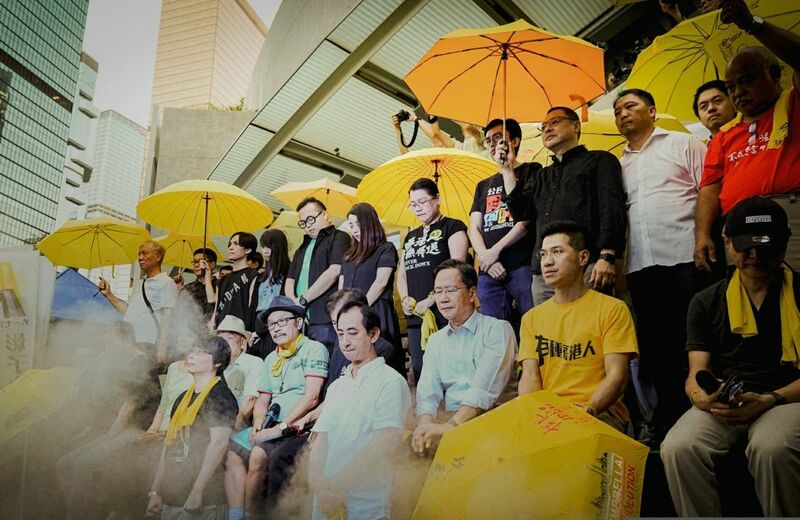 “We have always been described as the radical party… but when I saw Hong Kong people united in civil disobedience, there was no fear of the police or tear gas, I felt Hong Kong people finally experienced how to fight against this suppressive regime,” he said. He said, over the past three years, the social movement had fragmented. A new book reflecting on the Occupy protests by Demosisto. Photo: Demosisto. 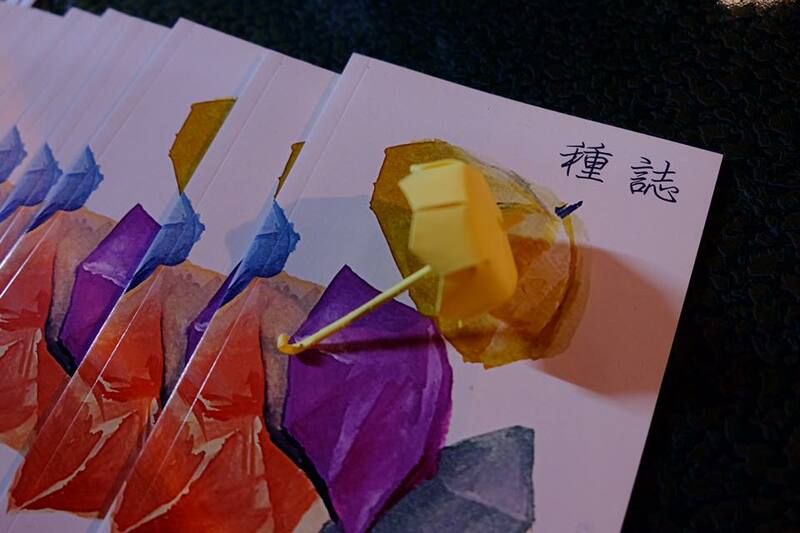 In Admiralty, about a dozen civic groups hosted booths, including one by the Demosisto party, which published a small book of interviews with other activists, reflecting on the experience of the Occupy protests. 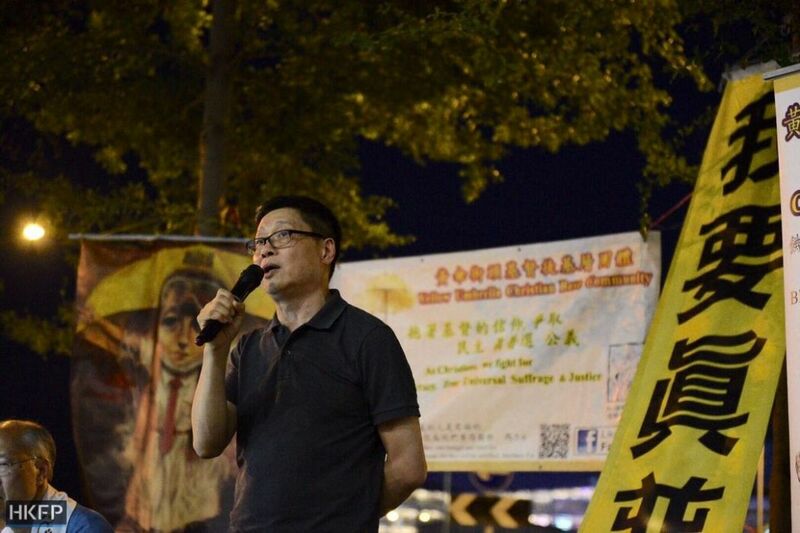 Earlier the year, the book publishing process was interrupted when Ivan Lam, a party member and one of the three editors, was jailed for 13 months in August over another protest. Activists write messages for the jailed protesters. Photo: Catherine Lai/HKFP. 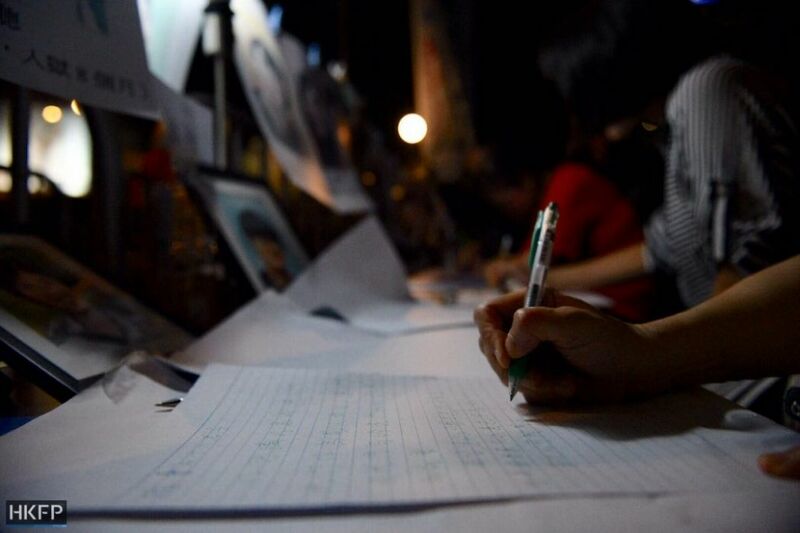 Several other booths were set up to allow members of the public to write letters to recently jailed activists. 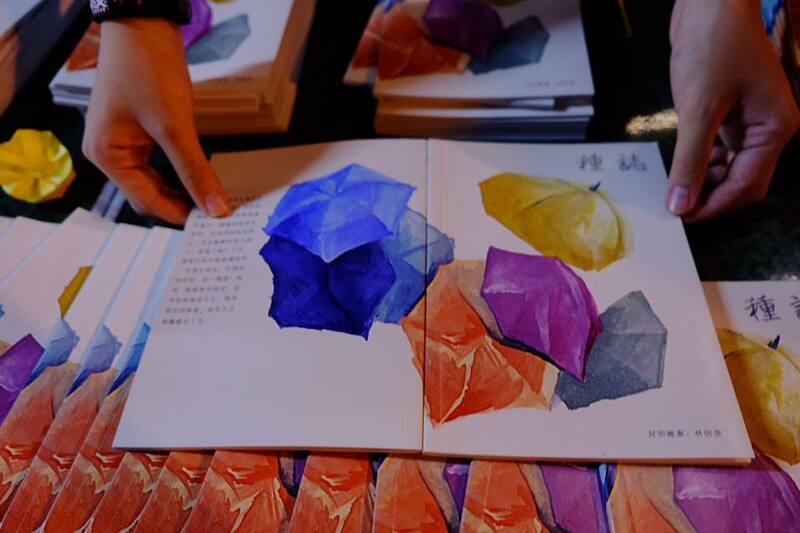 Ming Hui of the Community Citizen Chapter said people can write encouraging words to them. 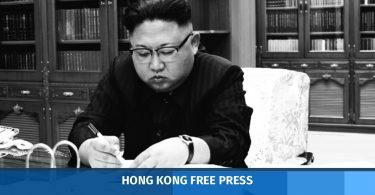 “They can also write about things that are not reported in newspapers or the TVB news channel, to tell them we will not give up,” said Hui. 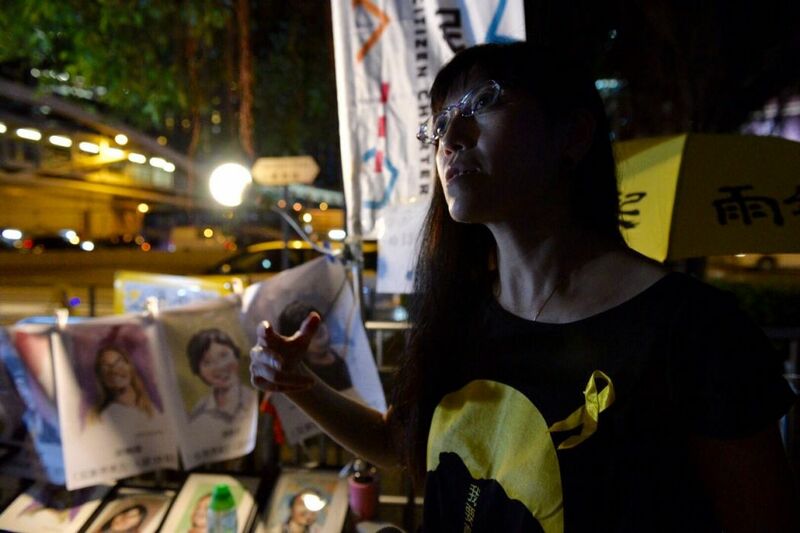 Prisoners in Hong Kong have limited access to media. 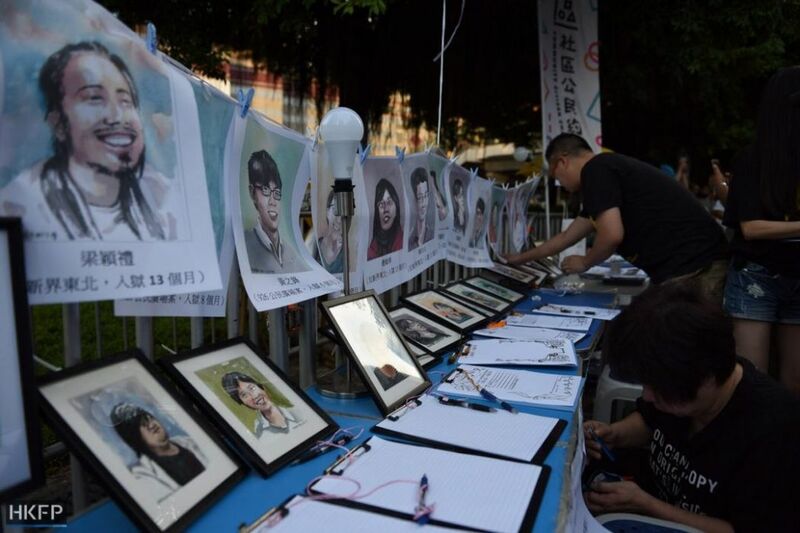 A booth was also set up for people to write postcards to mainland Chinese activists who were jailed for supporting the Occupy protests. Some of them were sentenced to four and a half years in prison. 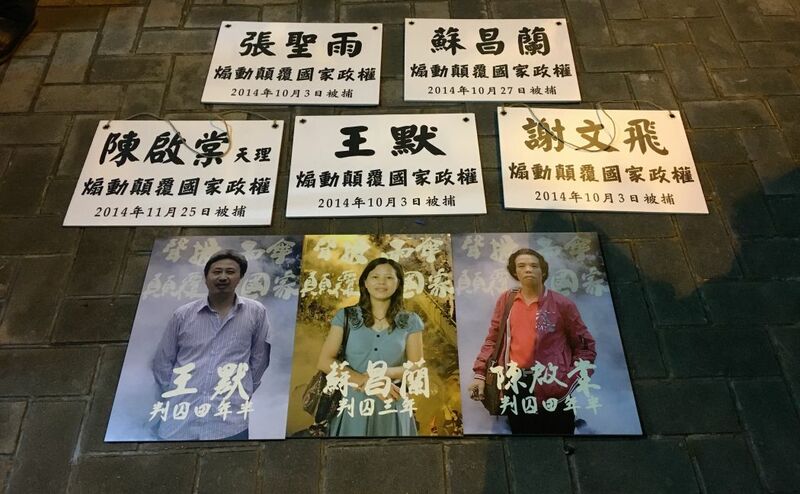 Jailed Chinese activists. Photo: HKFP. Other Occupy leaders such as Benny Tai, Chan Kin-man and Reverend Chu Yiu-ming will face trial on charges of conspiracy to cause and incite public nuisance. The trio had said they were preparing for jail by showering with cold water and switching off their air conditioning. Occupy convener Chan Kin-man. Photo: Catherine Lai/HKFP. He said that the government told them that many more participants, including volunteers and supporters, could be charged as co-conspirators.